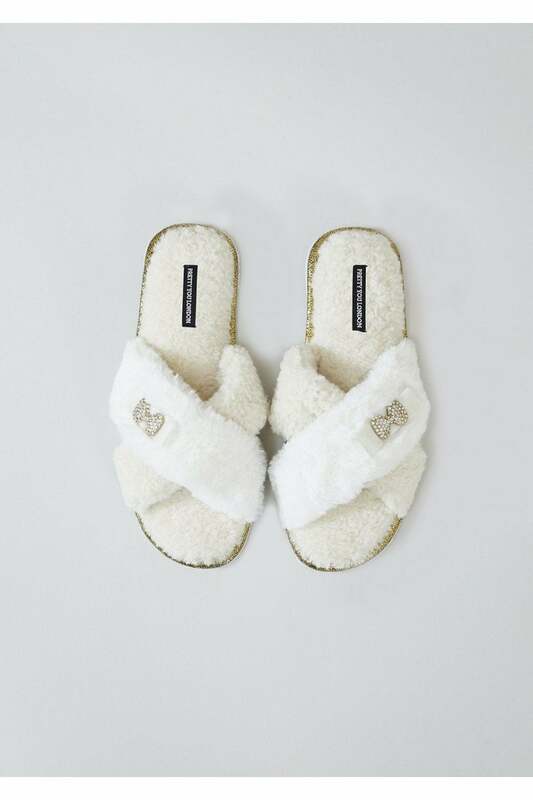 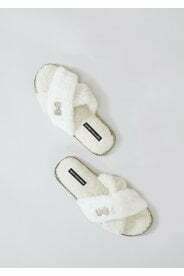 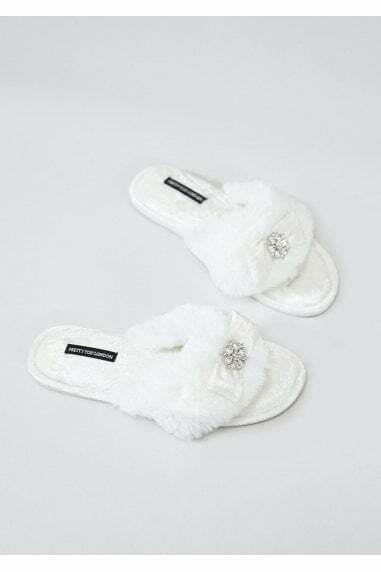 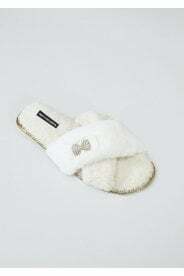 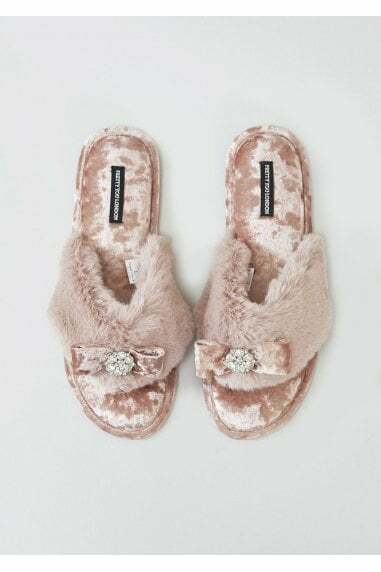 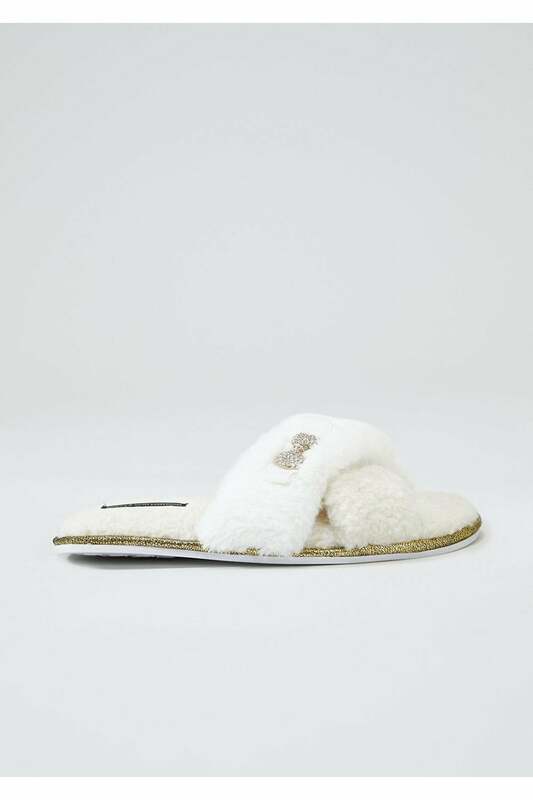 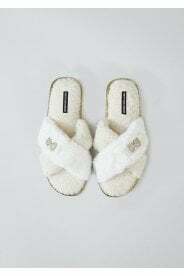 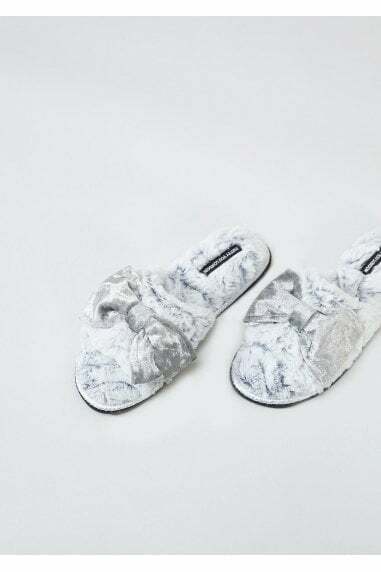 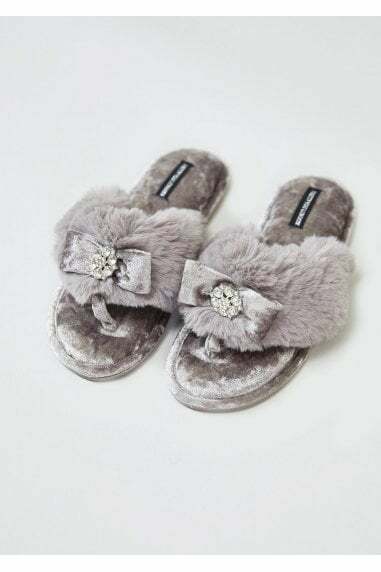 Luxury defined, faux-sheepskin and fur meet, making Ali one of Pretty You London's most indulgent slippers to date. 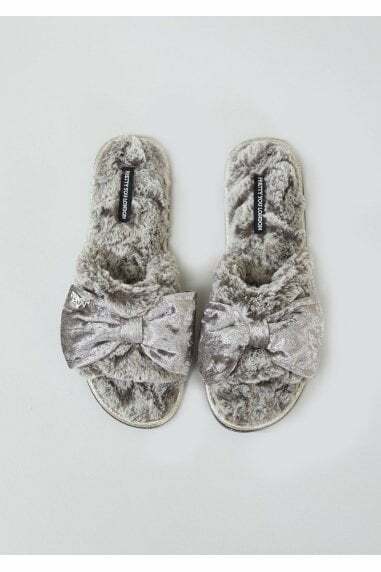 Pillow-like padded soles are finished with a gold trim and our pretty bow embellishment is the perfect addition. Comfort has never looked so chic.